Before, a lot of people searching for real property, especially those who are planning to own homes, rely on banks to give them various mortgage options. But nowadays, more and more people turn away from banking institutions to obtain the services of a home loan broker as well as insurance brokers New Zealand, also known as a mortgage broker, who are capable of providing them the best payment terms and mortgage rates. He or she serves as the middleman or the negotiator between those who are searching for property they can call home and the lenders. But due to what happened in 2008 in which the global economy suffered arguably the worst crisis ever, a lot of people questioned the role of the broker, particularly if he or she works on behalf of those who are planning to buy homes. Though that was the case, the broker did not stop in his or hers duty to provide services to clients. In fact, as the economy improved over the last few years, a lot of brokers emerged into the financial scene, whether they are working independently or working as a group in private entities. Whatever the case, their services eventually became on-demand and their roles have become even more apparent today. To begin with, they are licensed professionals that are knowledgeable of the ins and outs of everything about mortgages. Yes, homebuyers can rely on brokers, but there are benefits and pitfalls that they should consider before they can enlist their services. If you are homebuyer and you are trying to get the best terms and rates for your loan, you may need to seek a broker to help you. 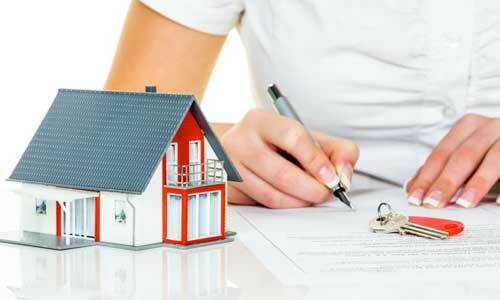 One of the benefits of the broker is that he or she does all the work on your behalf. You may be surprised that his or her portfolio of lenders includes those you may not be even aware of. Instead of you looking up for lenders and comparing their terms and rates to check which is best for you, the broker will ease your hassles and save you time by doing these things for you. Once the broker has all the pertinent information and documents, these will be submitted on a one-time basis to the lenders. In return, you will be represented with a list of potential lenders that would suit your preferences, Of course, that would depend on your circumstances. Another benefit of having broker by your side is that he or she can help you save a lot of cash. While you may be exposed to certain fees when you deal with a new mortgage or you deal with a new lender, your broker may have an agreement with the lender in which you may not be able to pay some or all of these fees. While there are benefits, there are pitfalls to it. The interests of some brokers may not be in harmony with your interests. In 2008, when themarket crashed, a lot of brokers were able to entice clients into availing mortgages, only to turn out that they can’t actually afford to pay them. It is in these instances that brokers, during that time, were given a bad reputation. Another potential pitfall in dealing with a broker is that you may not be able to obtain the best deal based on your financial situation. Indeed, working with a professional, especially in matters involving money, always entails both benefits and pitfalls. This is why as a homebuyer, it is important that you have a keen sense for detail. Make sure that you find a loan broker and insurance brokers New Zealand who has a proven track record in providing excellent results to its clients. You must find one that puts your interest in front of everything, and doesn’t shy away from giving you the best deals you can have for purchasing a home.